Full Circle takes a holistic approach to generate demand and nurture relationships. We follow the life of the lead from suspect to SQL to reach, connect and convert buyers in every stage their journey. We can help you define, identify and convert leads into buyers to support revenue goals and build your business. Lol! "Life of the Lead"
Do you have processes in place to qualify leads? How healthy and fresh are your contacts? Do you need to reactive zombie leads? How are you communicating to create an ongoing dialogue with your buyers? Are you able to personalize your outreach? Whom do you nurture, how and how often do you reach out to your potential buyers throughout the buying journey? 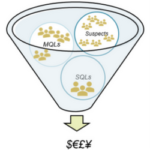 How are you defining suspects and SQLS and funneling leads thh the sales funnel - ultimately converting them to SQL? We can help through mapping buyer journeys and selling flows. defining qualifications and definitions and community building. We also run demand generation, nurture, drip, account based marketing campaigns and marketing automation. We've done hundreds of customer stories. Our champion programs show your value in action through the voice of your customers. We’ll create case studies (with custom interview guides) and PPT snapshots, along with customer communications program recommendations. 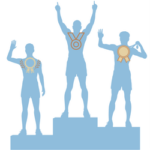 You need customer champion programs for business cases, sales process & customer lifecycle​, product launch with early access & pilots, validation & references​, wow stats & quotes​, and upsells & renewal​s. Ready to Narrow and Shorten Your Funnel?